Olivia Rodriquez's exhibit, Hunting Party, on display at Rosslyn's Artisphere through April 19, features exquisite mushrooms as well as a more traumatic installation. That contrast highlights the difference between sensational if-it-bleeds-it-leads stories and the details of life in Rosslyn. Rosslyn has massive mushrooms as well as endearing twin mushrooms. 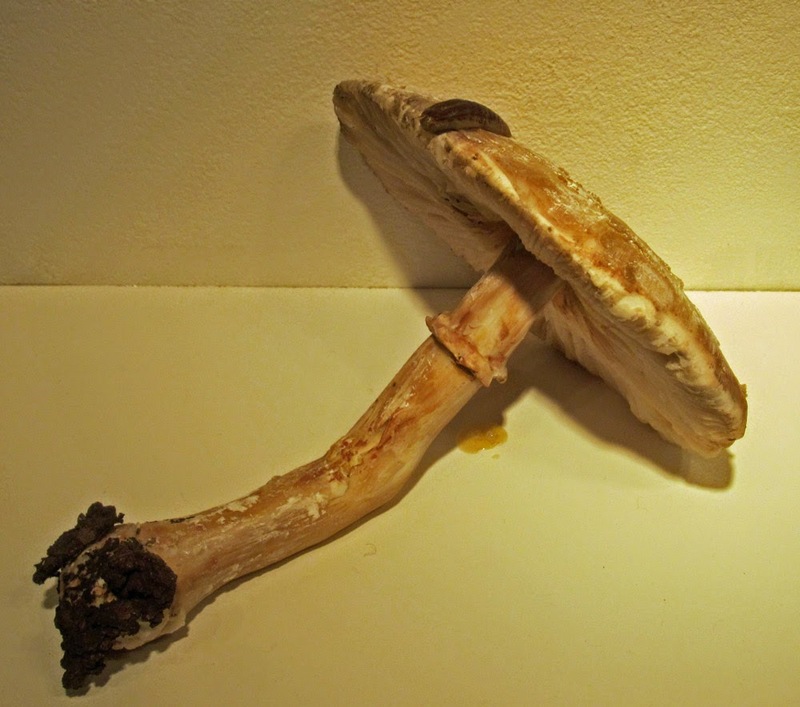 Mushroom experts have identified a bewildering number of different mushrooms. Like that slug peering over the edge of the mushroom, the Tribune's journalist believes in the value of sitting and looking at the wonder of the ordinary in Rosslyn. Maybe that slug was trying to identify the mushroom before eating it. Never eat a mushroom without identifying it.